Many more North Wales slate quarry views can be seen on my Flickr photo site. An incline bridging a tramway at Hafod Las Quarry. 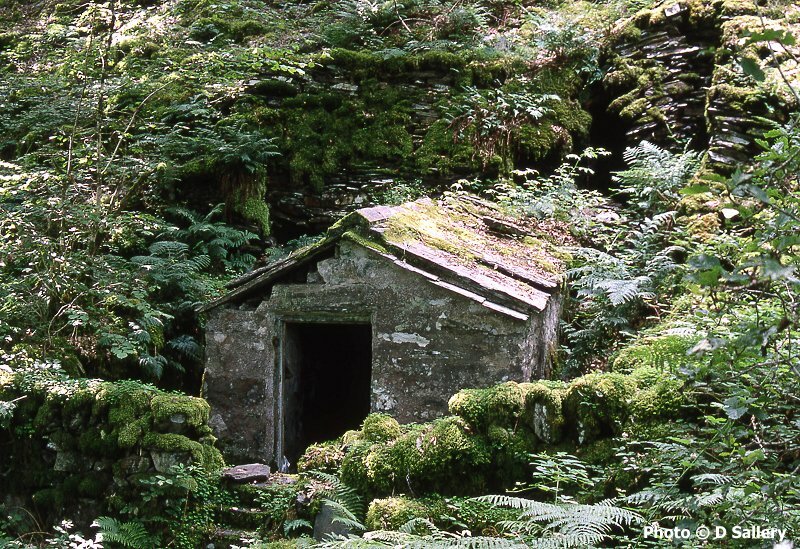 Hafod Las, near Betws y Coed, closed in the 1930's and this photo gives some idea of the effect of rampant vegetation. The bridge carried an incline from a higher level over a tramway used to carry waste rock for tipping. 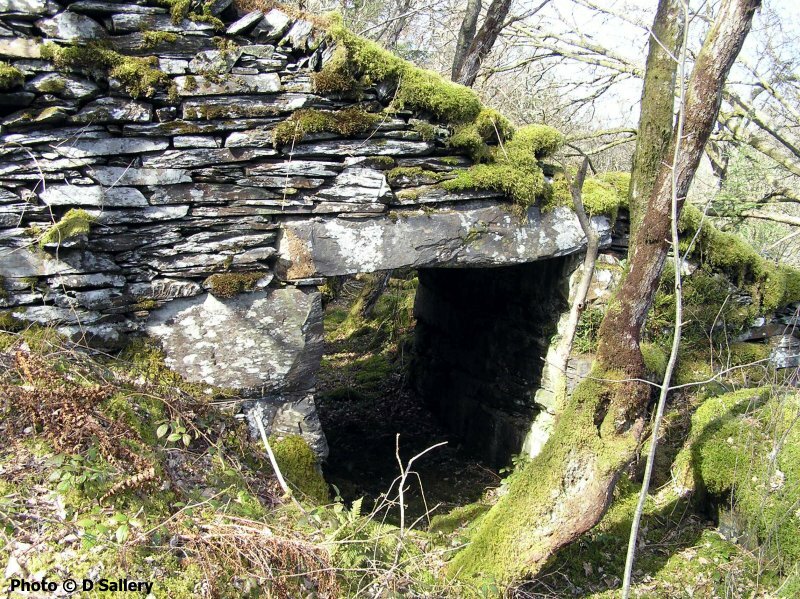 The explosives store - Hafod Las Quarry. 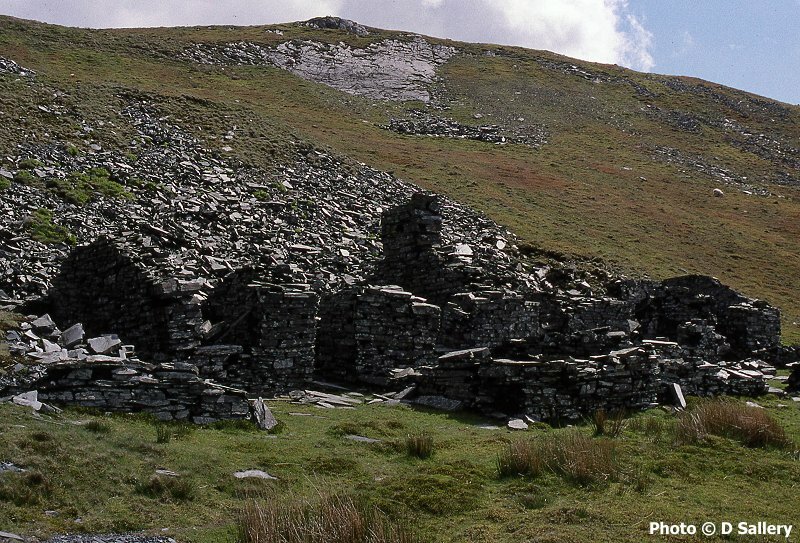 Most quarries possessed a purpose built store for the storage of explosives used in quarrying. These buildings generally had a wooden floor and wood covered walls and were always situated some distance away from the working areas. This fine example is now moss covered and forgotten. The Migneint is a huge area of moorland east of Blaenau Ffestiniog. 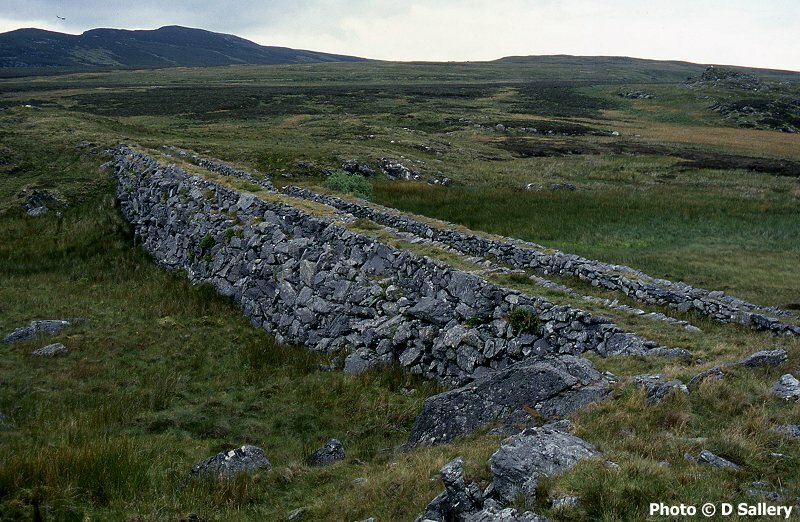 This dam was built to provide water power for the needs of Croes y Ddwy Afon quarry downstream. It can be found south of the B4391 road. Weighbridges were a common feature of most quarries as payment to the workforce was generally based on tonnage of rock, usable or unusable, which was extracted. In this photo, the pit in which the weighbridge was situated is on the right of the building. There would have been a rubbish tramway leading over the weighbridge to the waste tips in the distance. South Pole is a typical example of a small slate quarry. 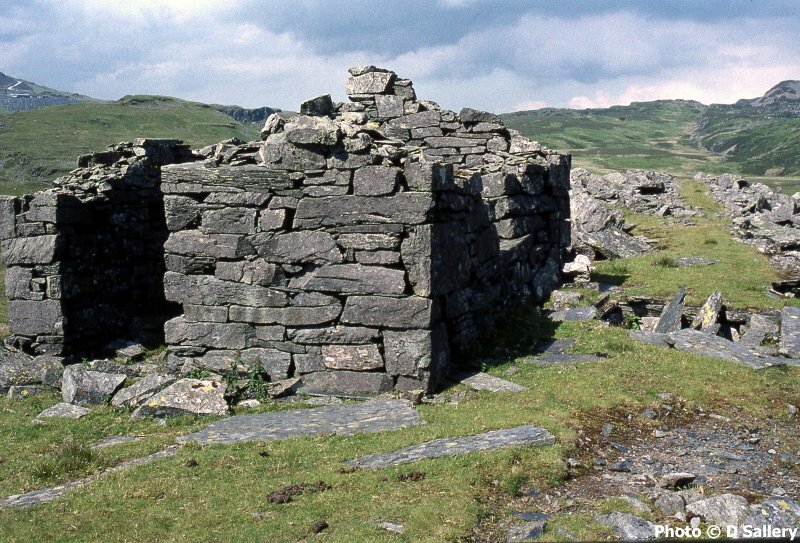 It is situated nearly 2000 feet up on the slopes of Manod Mawr and was worked by only a handful of men, probably unofficially, with no shelter or buildings of any kind. 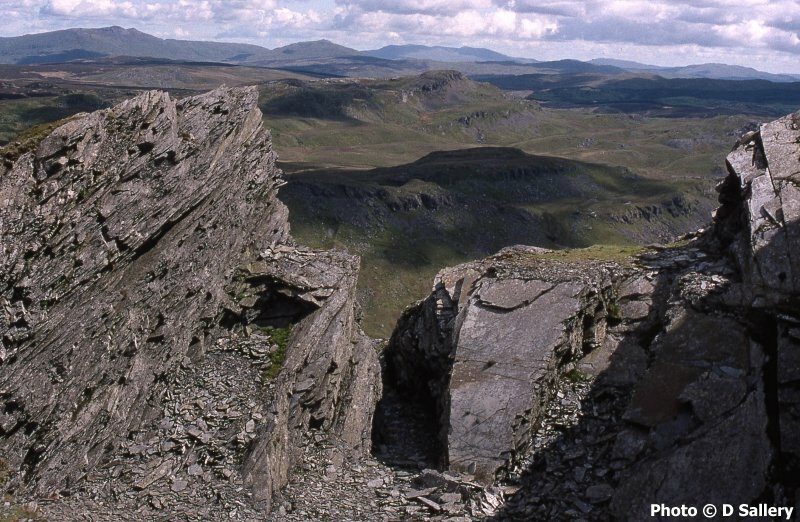 Waste rock was taken through the cutting in the bottom of the photo and then tipped down the mountainside. 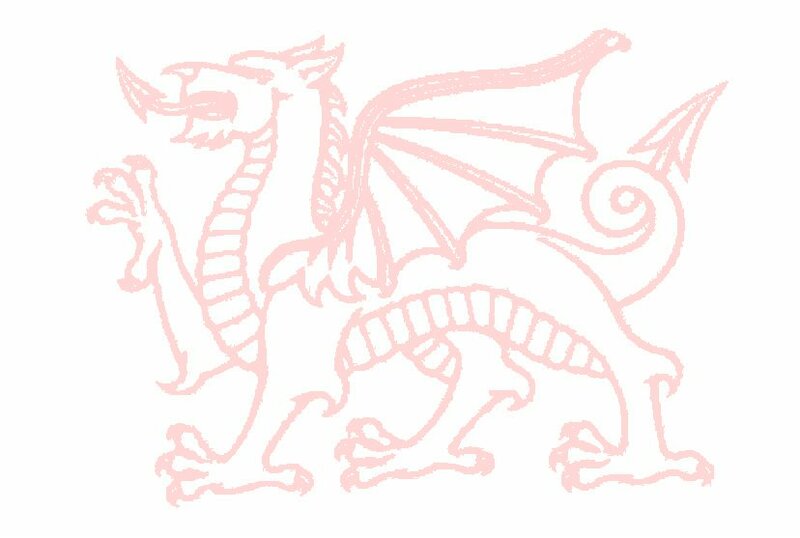 Before the Ffestiniog Railway was opened, all slate had to be carried on horseback down to the River Dwyryd near Maentwrog. From there it went on small boats out to larger sailing ships in the estuary. 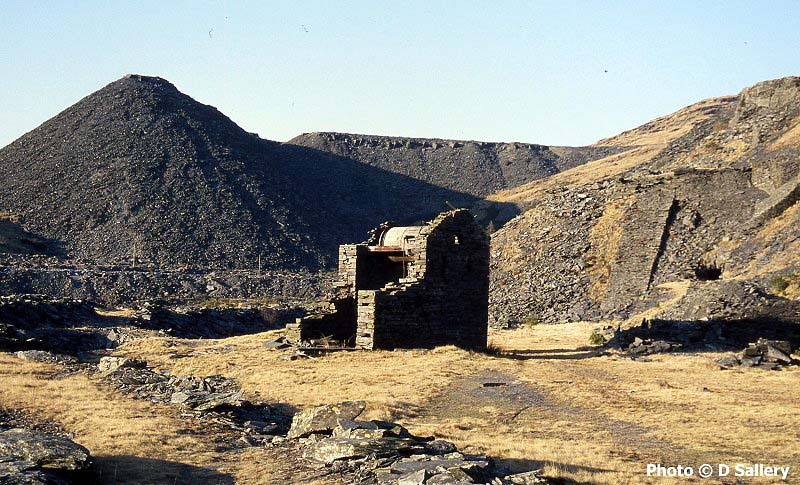 These buildings supplied the horsepower and manpower to Graig Ddu quarry. 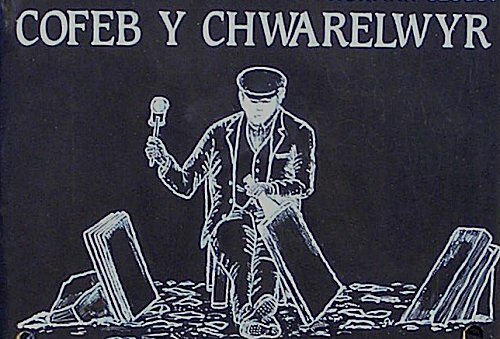 Part of a display in Padarn Country Park, Llanberis. Maenofferen was the last underground quarry in Blaenau and closed in 1998. 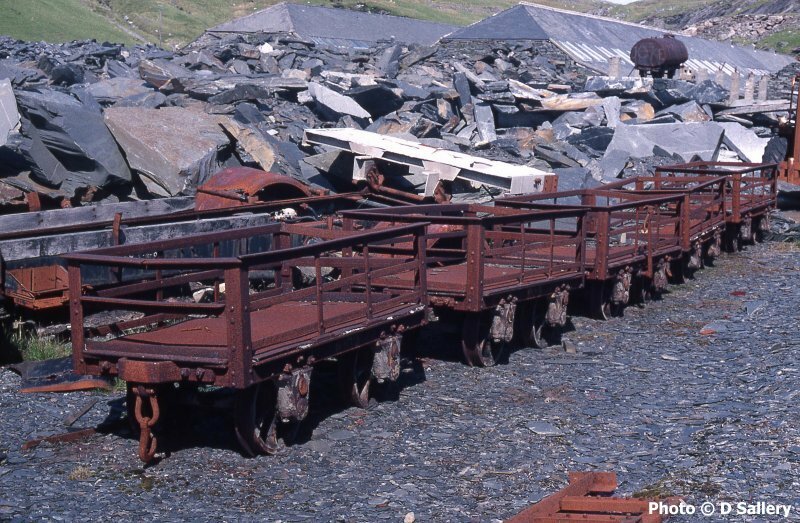 A line of derelict slate wagons is seen there some years ago. This quarry remained open until the early 1960's but has since been extensively demolished and landscaped. The conical waste tip in the background, a notable landmark, is formed of waste rock from Maenofferen quarry. It is currently being recycled to provide slate chippings.